When you start off ready to tackle your goals you are rip-roaring and ready to go! You workout for a few weeks, eat better, but then something happens...your motivation takes a vacation! Where does that motivation go? 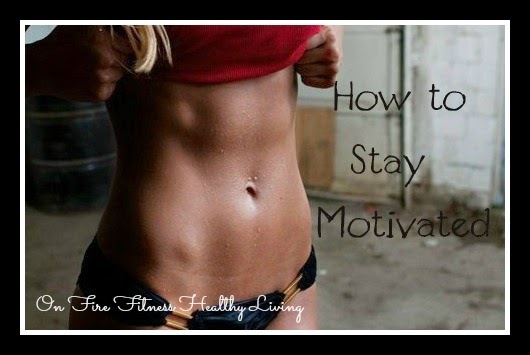 How can you stay motivated to continue on the path to reach the goals you set for yourself? This is something that has happened to me time and time again, and I am working on changing that for myself. I will stay consistent and then be about 10 pounds or so from my goal weight and then stop. Why? I'm not 100% sure what happens. However, this time things are different. I am working on changing my mindset of restricting certain foods then after a while I give up and binge. I want to reach my goal weight the healthy way and then maintain with an 80/20 way of life. 80% of the time I will eat clean food and 20% I will allow for treats. I don't always wake up with the motivation to workout, sometimes I would rather lay around and chill all day, not that it happens now that I have a toddler running around! However, I take the time to think about my goals, what I really want for myself then I motivate myself to get moving. Once I start my workout I am fine and I am happy that I got it in. Write your goals down. Having a journal helps. Start by writing down your goals. This will give you a visual reminder on the days you feel like throwing in the towel. Define your WHY? This is so important. It is great to have goals, but if you don't know WHY you want to achieve those goals it is much easier to give up. Put time and thought into this and again write it down! Create a motivation or vision board. You can do this the "old fashioned" way with magazines and poster board or on Pinterest. I love Pinterest because you can create different boards. Here is one I created for my fitness journey Working on My Fitness. I will hop on there if my motivation is low. It gives me the reminder that I am working on creating my best body and to go commit to my 90 minute workout. I know I will feel better when I am done. Take progress pictures. The scale should not be the only way to measure progress. If you are working on losing fat and building muscle you have to remember that muscle weights more than fat. I have been taking progress pictures along the way. I can see my body changing in the pictures, and know that all my hard work is paying off. Seeing how far you have come and the progress you have made is often motivation enough to keep going. Take a day off from it all! This is important too. You devote your time and energy on a daily basis that you need one day to rest. This does not mean to eat whatever you want! This means take a day off the gym and do something you love. Go shopping, read a book, have a date with a friend or spouse. This will give your mind and body a rest so you can come back ready to hit it hard! Find a workout or motivation buddy. Do you have a workout partner that will drag you to the gym when you don't want to go, or visa versa? Having someone who has similar goals can help keep you on track. If you don't have someone to workout with, find someone who can be a motivation or accountability buddy. Share your weekly goals and struggles with each other and work to keep each other going. Be Proud of Yourself! Most important take the time to give yourself the pat on the back you deserve. You are working hard to reach your goals! You are taking the time to be the healthiest, happiest version of you! Be proud of that, because you are worth it all! I hope that this helps when you are lacking the motivation! You are strong and can do anything you set your mind to! 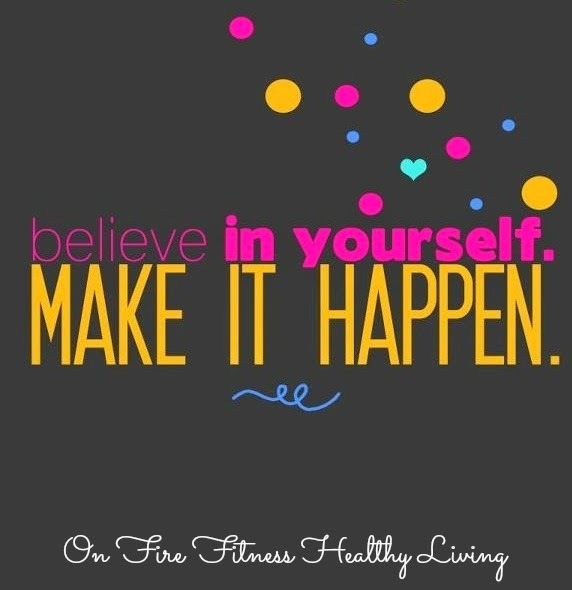 Have a wonderfully fit day! Thanks! Glad you like them! Yes, it helps to have someone to keep you accountable! I agree on all of these points. I would add "Get your mind right". Change how you think and perceive certain things. It makes it that much easier. That is a great addition. I think it's also the hardest too. That is one thing I am going to be working on...changing how I perceive reaching my goals.